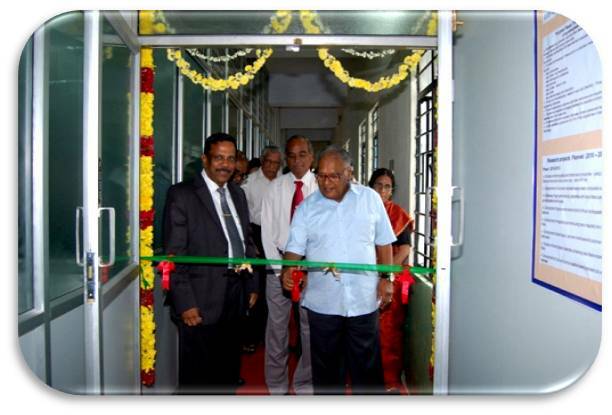 B S Abdur Rahman Crescent Institute of Science and Technology has established Polymer Nano technology centre with the built in area of 2304 sqft and was inaugurated on 24th Aug 2010 by Prof Dr C N R Rao, FRS , an eminent Nano Technologist and Material scientist and National Research Professor , Jawarharlal Nehru Centre for Advanced Scientific Research (JNCASR) , Bangalore. 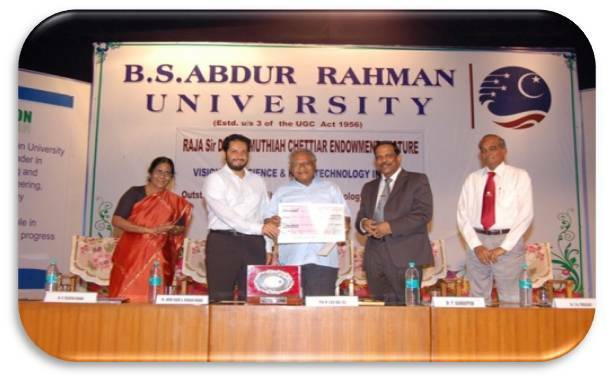 Prof. Rao also delivered Dr Raja Sir Muthaiah Chettiar Endowment lecture on “Vision for science and Nano Technology in India” to all the faculty and students of B S Abdur Rahman Crescent Institute of Science and Technology and was honoured by the University, Citation and Outstanding Personality award for Technology Management. 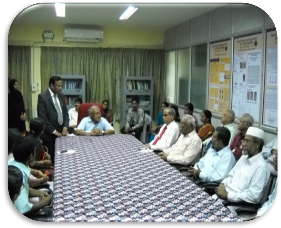 In the interactive meeting of faculty members of B S Abdur Rahman Crescent Institute of Science and Technology arranged with Prof Dr CNR Rao, Prof Rao mentioned the strong need for research in science and technology and he said that he will provide support to prospective researchers / faculty member’s fellowships and the facilities in JNCASR to utilise. 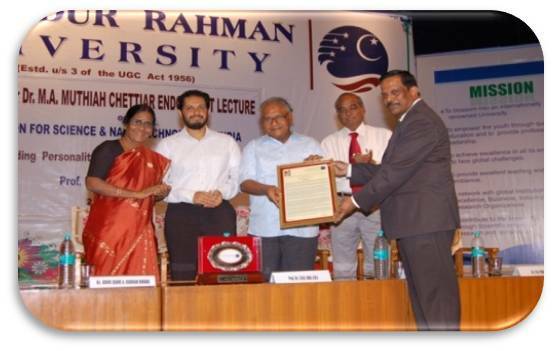 To establish and promote polymer nano research and training facilities for students, faculty and industry personnel. To develop lab facilities with essential and adequate equipment and instruments. 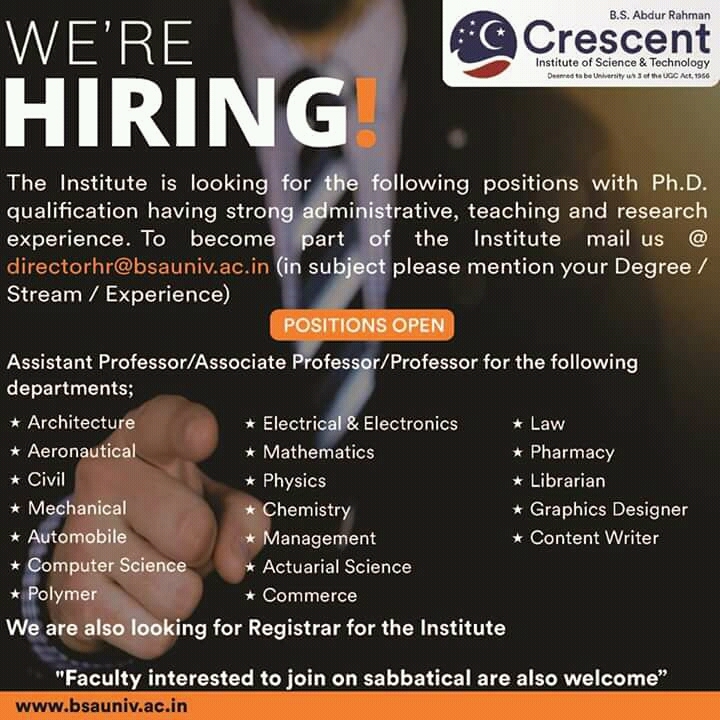 To carry out interdisciplinary research work with Chemistry, Physics and all engineering disciplines. To have collaborative programs with other institutions and industries. To create and establish processing facilities for production of polymer nano materials up to pilot scale level. To organize short term courses in the area of nano science and technology. To offer certificate courses and UG / PG / PhD programmes in Nano Technology.